This Leader Reader, "Hw the Early Church Understood Grace,"continues our study of the teachings and context of the early church. 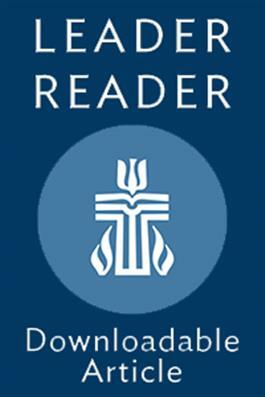 This Leader Reader examines what is called the "wo Ways,"or the Way of Life and the Way of Death, as well as how grace was considered in the second century by Justin the Martyr. This essay also considers how the concept of grace changed throughout the period of the early church.